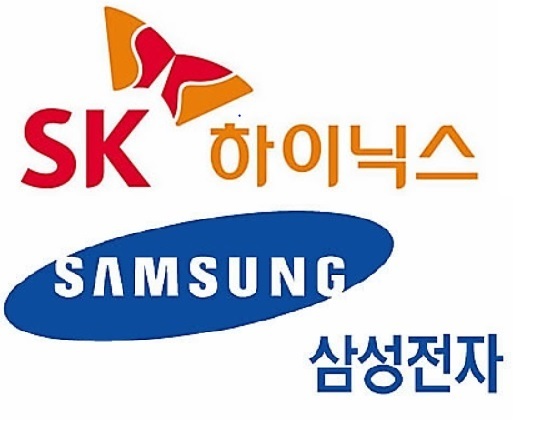 The operating profits of South Korea's listed companies belonging to the largest conglomerates contracted in the January-September period of this year if the numbers for Samsung Electronics Co. and SK hynix are excluded, a local business tracker said Sunday. The total for the 94 companies, not counting the two semiconductor manufacturers, declined by 3.3 trillion won ($2.94 billion) to 25.54 trillion won in the three quarters from 28.84 trillion won last year, Chaebul.com said. The combined operating profits of all companies reached 77.94 trillion won, up a sharp 16.5 trillion won from the year before. This is the first time the profit numbers have exceeded the 70 trillion-won mark in the first three quarters of any year, the conglomerate research firm said. "The increase is clearly due to a surge in profit by the chipmakers, which posted exceptional growth this year," it said, adding that the country as a whole is overly reliant on the chipmaking sector. Samsung Electronics, the world's largest semiconductor producer, posted operating profits of 36.16 trillion won, up 53.2 percent, or 12.56 trillion won, from a year earlier, while the figures for SK hynix showed an 80.4 percent surge equal to a 7.23 trillion-won increase, giving a total profit of 16.23 trillion won. Samsung and SK hynix accounted for 46.4 percent and 20.8 percent, respectively, of the operating profits of the companies checked. Chaebul.com said that of all the companies examined, 49, or 52.1 percent, reported less operating income this year compared to 2017. It said that in the three quarters, Hyundai Motor Co., the country's No. 1 automaker, reported operating profit equivalent to just 12.9 percent of the 2.15 trillion won tallied for the same period last year. LG Display, one of the world's leading panel makers, reported a deficit of 541.7 billion won from being 1.63 trillion in the black in 2017. By group, Samsung, the largest of the country's family-run conglomerates, reported a 52 percent on-year gain in operating profit, with numbers also up for SK, POSCO, GS and Nonghyup.